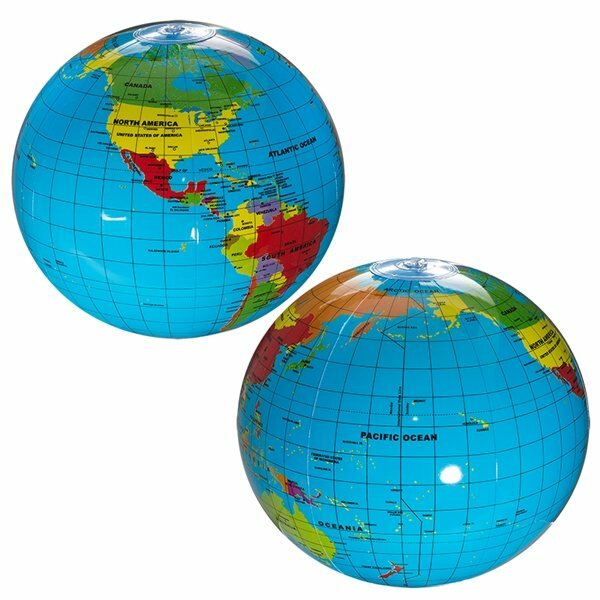 14" Vinyl inflatable beach toy with full globe printed on panels. 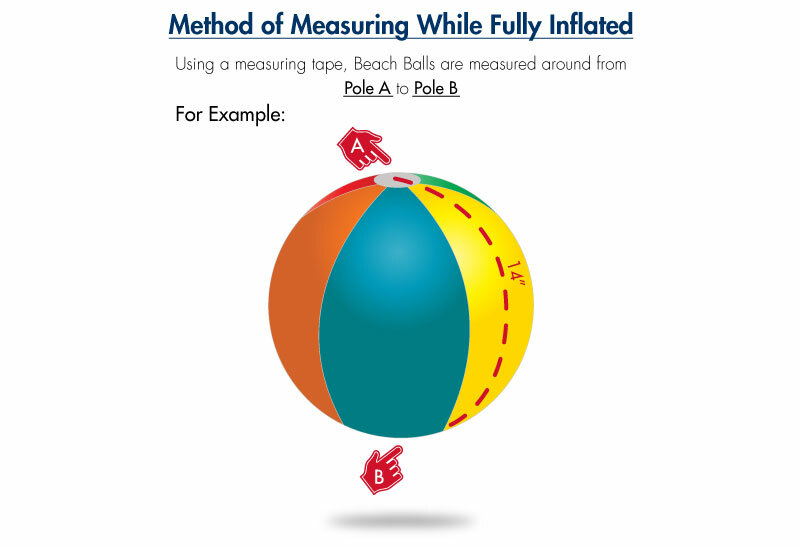 Measurement is 1/2 the circumference when item is inflated. Map is not to scale. Not intended for use as an educational tool. For novelty use only – accuracy of country, state, or city information is not guaranteed. NOTE: Imprint area is on Pacific Ocean. WARNING: Choking Hazard - small parts. Not intended for children under the age of 3.
product are very nice. this is a great product!! I have purchased it in the past and I always have co-workers ask me to get them one as well. thanks!!! !You helped the Celebration of 100 years begin!!!! Many of these are being used by our employees. thanks for a wonderful sales person who worked with me. Our favorite giveaway products! I highly recommend AnyPromo whenever anyone I know needs promotional items.